Description: Initial releases included an embossed slipcover. 03-13-2017 Flashback2012 Description Initial releases included an embossed slipcover. 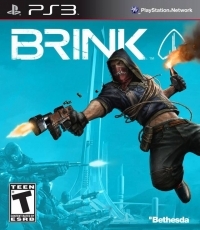 This is a list of VGCollect users who have Brink in their Collection. This is a list of VGCollect users who have Brink in their Sell List. This is a list of VGCollect users who have Brink in their Wish List.